The tiny Amp 1L packs an impressive spot beam. Waterproof to 100M (330 ft.) and equipped with a large carabiner loop, this handheld light is ready for any condition and easy to clip onto gear. 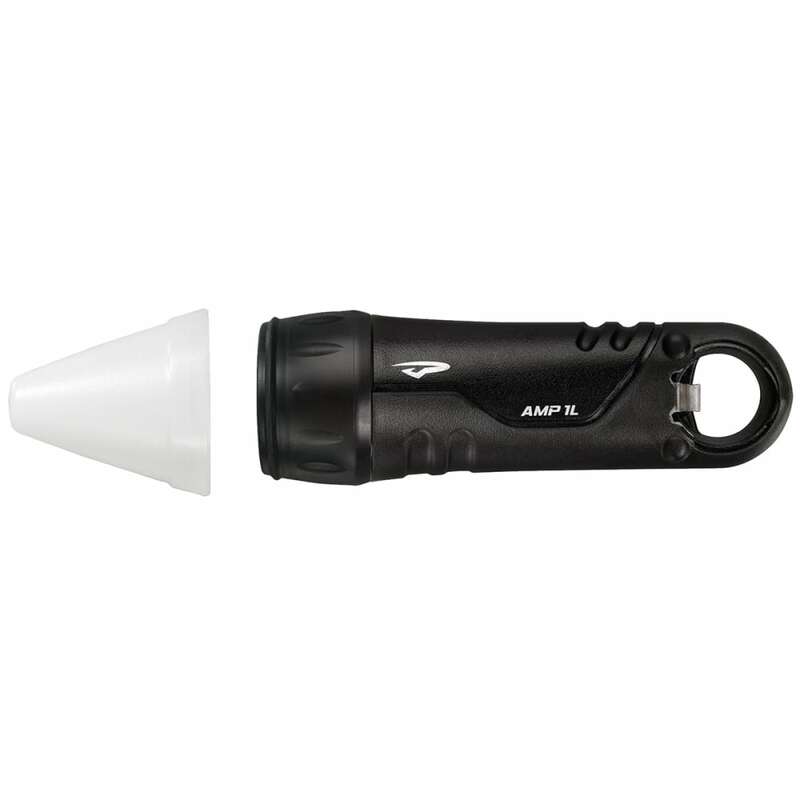 The Amp 1L comes with a snap-on translucent cone to turn it into a marker light, hanging lantern, or area light. When you are done exploring, the Amp 1L will still be your favorite piece of gear with its built-in bottle opener. If you are looking for a light source for your kayak, check out the Amp1L Kayak Mount. 360 Light: This light is designed for area illumination, and disperses light in a 360-degree pattern to light up a campsite or other area. LED Optic Collimator: A collimator gathers all available light from an LED in the form of scattered rays and re-emits the light as parallel rays, making it more optically efficient than a standard reflector. Princeton Tec calibrates each collimator to the type of LED and application of each light. With proprietary optimized collimator/lens systems, Princeton Tec continues to advance LED technology. Weight w/ Batteries: 2 oz.